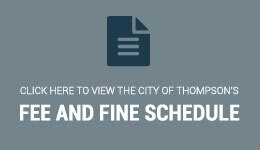 The Community Wildfire Protection Plan is designed to help prevent dangerous wildfires from starting near the City of Thompson, and to protect property and key infrastructure in the event that a wildfire does threaten City boundaries. The plan is the first of it's kind in Manitoba. The plan not only includes actions to be taken by Thompson Fire and Emergency Services and provincial fire crews, but also steps that homeowners can take to drastically reduce the risk of property loss in the event of a dangerous wildfire. Below residents can access the wildfire mitigation plan, as well as related maps. Only part of the plan is publicly available, due to confidential information included in the complete plan. You can also find the Powerpoint Presentation presented to Council on March 18, 2019 below.